Amman (AFP) - Pope Francis will visit Jordan during a trip to the Holy Land next year, the state Petra news agency reported on Saturday, citing a senior Vatican source. "During his (August) visit to the Vatican, King Abdullah II invited His Holiness to visit Jordan," Petra quoted Vatican foreign affairs official Dominique Mamberti as saying in Amman. "We are currently looking at the preparations in detail for the visit, which should take place next year. "The pope's visit to the Holy Land will begin in Jordan," Mamberti said after meeting Jordan's Foreign Minister Nasser Judeh.He said Pope Francis considers Jordan to be "a holy land, and one that respects religious pluralism... necessary to create a climate of peace not only in the Arab world but also across the entire Middle East. "During an audience at the Vatican on October 17, Palestinian president Mahmud Abbas invited Pope Francis to the Middle East, saying he would "walk in the footsteps of Jesus Christ".The invitation from Abbas followed one from Israeli President Shimon Peres earlier in the year. Francis had already said he would like to visit the Middle East in 2014, but the Vatican has not yet officially confirmed the trip, despite a report by Israel's Channel 2 television that it will take place in March.Francis has said he would like to visit the patriarch of Constantinople, Bartholomew I, spiritual leader of the world's Orthodox Christians.Last month, Abbas was the fourth Middle East leader to meet Pope Francis after Peres, Lebanese President Michel Sleiman and the Jordanian monarch.Unconfirmed information from Roman Catholic sources in the Holy Land indicated a possible papal visit to a refugee camp for Syrians in Jordan.Maronite sources have also hoped for a possible trip to Lebanon to preach reconciliation in the region. Israel on Friday was invited to join a regional group within the United Nations Human Rights Council, marking a major diplomatic achievement that significantly increases Jerusalem’s ability to advance its interests at the Geneva-based body.The council’s Western European and Others Group (WEOG) decided to invite Israel to join after none of the member states voiced opposition to the move within the 48-hour period prescribed earlier this week.According to Haaretz, WEOG is expected to publish an official announcement of the decision on Monday.“It’s the successful end to the Foreign Ministry’s diplomatic efforts, which have gone on for many long months,” a senior Foreign Ministry official was quoted by the paper saying. However, he added, “it will not detract from the Arab states’ continued ability to target Israel in resolutions, urgent sessions and a special agenda item.”Human rights lawyer and pro-Israel activist Anne Bayefsky said Israel’s anticipated admission to WEOG is “indeed a major victory for Israel.”However, she too stressed that Jerusalem’s position within the body remains far from ideal. “It is important to recognize that [Israel's admission] says absolutely nothing about the UN Human Rights Council. This is a change made by the western group of states, and has nothing to do with the council itself,” she told The Times of Israel. “At the council, Islamic states continue to hold the balance of power by controlling the African and Asian regional groups — which, taken together, form the Council majority. WEOG is vastly outnumbered at the council, and preposterous anti-Israel resolutions, and investigations and reports, will continue to flow like untreated water from a sewer.”Bayefksy, a senior fellow with the New York-based Hudson Institute, also pointed out that criticism of Israel remains an item on the council’s permanent agenda.While the WEOG states agreed to not to participate in discussions about Agenda Item 7 (“the human rights situation in Palestine and other occupied Arab territories”) for the coming two years — as part of a deal to get Israel to cooperate with the council’s human rights review procedure — “much more is required to achieve the removal of the discriminatory item altogether,” she said.Earlier this month, senior diplomats from the US, Britain, Australia, Canada, Germany and France sent a letter to the UN’s institutions in Geneva and to the ambassador of Spain, who heads the WEOG, telling them to finally admit Israel into their circle, according to Haaretz.“We are strongly supportive of Israel’s membership at the earliest opportunity. We request that you kindly include this issue on the agenda of the next WEOG meeting in Geneva, to be held as soon as possible,” the letter read.Israel struck an agreement with most WEOG states about its inclusion in the group, yet the decision is only finalized once the group conducts a vote and officially invites Israel to join. Even Turkey — which could theoretically block Israel’s admission to the group, as the vote needs to be unanimous — indicated that it would not oppose a decision to include Israel if everyone else was in favor. The Foreign Ministry in Jerusalem declined to comment.On October 29, Israel participated in the council’s so called Universal Periodic Review, during which it was widely criticized for alleged human rights abuses. Earlier Friday, a senior Palestinian official said that peace negotiations with Israel have already failed, and that the prospect of freeing Palestinian prisoners from Israeli jails is all that was keeping the talks alive. Fatah Central Committee Member Nabil Shaath, a close adviser of Palestinian Authority President Mahmoud Abbas, told Maariv that “we are committed to negotiations for a nine-month period and are waiting until all 104 prisoners are released.”Israel agreed to release 104 Palestinian prisoners from Israeli jails in four waves as precondition to the talks, which began in late July. Over the past five months, Israel has released two waves of 26 prisoners apiece to the West Bank and Gaza Strip. The 21 men released to Ramallah last month were met with fanfare and celebration by thousands of Palestinians and Abbas.Under heavy American pressure and intense shuttle diplomacy by US Secretary of State John Kerry, Israel and Palestinians resumed peace talks five months ago after a three-year hiatus in negotiations. Although leaks about progress in the talks have been rare, they have been marked by difficulties including an uptick in Palestinian attacks against Israelis and, as previously mentioned, increased settlement unit announcements. Kerry is due back in the region next week to meet separately with Netanyahu and Abbas. During his last stay in Israel earlier in November, Kerry made pointed remarks to the Israeli press about the ongoing talks. “If we do not resolve the issues between Palestinians and Israelis, if we do not find a way to find peace, there will be an increasing isolation of Israel, there will be an increasing campaign of delegitimization of Israel that’s been taking place on an international basis,” he warned. DAMASCUS, Syria (AP) — The US has offered to help destroy some of the most lethal parts of Syria’s chemical weapons stockpile at an offshore facility, the Organization for the Prohibition of Chemical weapons said Saturday.The international organization’s director-general, Ahmet Uzumcu, said in The Hague, Netherlands that the US government will contribute “a destruction technology, full operational support and financing to neutralize” the weapons, most likely on a ship in the Mediterranean Sea. The weapons are to be removed from Syria by Dec. 31.Separately, the woman appointed as go-between for the United Nations and the OPCW on destroying Syria’s chemical weapons stockpile laid out some logistical details. Importantly, the weapons will first be packaged and transported from multiple sites within Syria to the country’s largest port, Latakia. Then they will be loaded onto ships owned by other OPCW members before a second hand-off to US vessels.The weapons and chemicals “will not be (destroyed) in Syrian territorial waters,” Sigrid Kaag said at a news conference in Damascus.The OPCW also wants nearly 800 tons of dual-use chemicals, many of which are common industrial chemicals, to be removed by Feb. 5 and later destroyed by private companies as part of the organization’s ambitious plan to completely eradicate Syria’s chemical weapons program by mid-2014.Uzumcu said in a statement 35 private companies have applied so far to participate and are at an early stage of being vetted. He also called on governments of the 190 countries that belong to the OPCW to contribute funds to the effort, or by contracting directly with companies to help destroy chemicals.Kaag, who is due to travel to The Hague by Monday, said the mission will require international contributions in terms of packaging material, other logistic needs and special equipment needed to get the job done.She said the Dec. 31 deadline can be met, but unforeseen obstacles — such as a closure of the Homs-Damascus road — could delay the mission’s job.The OPCW was given the responsibility of overseeing the destruction of Syria’s chemical weapons arsenal under an agreement reached between the U.S. and Syrian ally Russia on Sept. 14. The U.S. then shelved plans for a military strike on Syria’s government as punishment for a chemical weapons attack Aug. 21 that killed hundreds of people, including many children, in rebel-held Damascus suburbs. Syria’s government acknowledged it possessed chemical weapons and committed to giving them up.Since then OPCW is scrambling to meet ambitious deadlines for disarming and destroying Syria’s estimated 1,300-ton arsenal, which includes mustard gas. Syria’s production capacity was destroyed or rendered inoperable by the end of October, the OPCW said, and now it is tackling the tougher problem of how to deal with its existing weapons and hazardous chemicals.An initial plan to destroy chemicals and weapons in a third country was rejected after no nation was willing to accept the hazardous waste. The possibility of destroying chemicals and weapons in Syria itself was rejected as unworkable amid the country’s civil war.In Saturday’s statement, the OPCW said a suitable US naval vessel “is undergoing modifications to support the operations and to accommodate verification activities by the OPCW.”The Associated Press reported on Thursday that the ship in question is likely the MV Cape Ray, which would destroy chemical materials using a process developed by the Pentagon but never employed in an actual operation.Citing several officials who spoke on the condition of anonymity because they were not authorized to identify themselves, the AP reported the U.S. plans to use what it calls a mobile Field Deployable Hydrolysis System to process the chemical material, making it unusable as weapons. The system was developed by the Defense Threat Reduction Agency, which is an arm of the Pentagon. Its titanium reactor uses heated water and chemicals to neutralize hazardous materials. According the officials, two of the hydrolysis units would be mounted on the Cape Ray under the current plan.The OPCW’s executive council met Friday night and a general meeting of member states begins Monday. The scale of Iran’s nuclear program will be determined by its civilian energy needs, Iranian President Hassan Rouhani said Friday in an interview with The Financial Times.Rouhani said that while weapons of mass destruction were not on Tehran’s agenda “as a matter of principle,” it would go on enriching uranium to meet its energy needs.He spoke less than a week after Iranian Foreign Minister Mohammad Javad Zarif signed a deal with the P5+1 limiting its ability to install new centrifuges and enrich uranium beyond 5 percent. Referring to Western concerns about the scale of the country’s nuclear program – “or, as you put it, how big the ‘size’ is going to be” – Rouhani said it would depend on “our needs for nuclear fuel.”Though he spoke in Persian, the Iranian president used the English word “size” in an imitation of Western leaders and negotiators, a slight smile on his face.Rouhani stressed that the peaceful nature of Iran’s nuclear program could be attested to by the International Atomic Energy Agency (IAEA) cameras which monitors all of Iran’s nuclear activities.The IAEA has inspected Iran’s program regularly over the past decade, submitting its findings to the IAEA’s 35-nation board and the UN Security Council.But an interim nuclear agreement sealed between Iran and world powers in Geneva on Sunday boosts the scope and significance of the agency’s monitoring activities, making it the chief arbiter of whether Iran is keeping its end of the bargain — capping its nuclear program in exchange for some sanctions relief.Under the Geneva deal, inspectors will be able to visit Iran’s Natanz and Fordo enrichment sites daily and have greater oversight elsewhere. They will monitor Iran’s commitment to dilute or downgrade its stock of enriched uranium that is closest to weapons grade; to enrich only to levels far lower than weapons grade, and to turn all material it is enriching into oxide, which is difficult to reconvert.Even then, the agency’s expanded role has its limits.The IAEA shares fears by Washington and its allies that Tehran worked on a nuclear weapons program until 2003. And agency reports, based in part on US and other intelligence, say some activities may have continued beyond then.Iran denies such work. But it still declines to answer related IAEA questions or give agency experts access to sites, people and documents allegedly connected to such activity. And it refuses to give the IAEA authority to turn its inspectors into nuclear sleuths and allow them to roam the country in search of possible undeclared sites. However, during Friday’s interview, Rouhani seemed undeterred by the doubts clouding the Geneva deal, expressing optimism about Iran’s increased engagement with the West and particularly with Washington, as well as about its prospects for financial growth as sanctions ease.The recently-elected leader, described by the FT’s Lionel Barber as the “friendlier face” of the Tehran regime, commented on the “serious economic problems” his government had inherited from his predecessor, Mahmoud Ahmadinejad, but said the situation was markedly improving.“This government has inherited serious economic problems … but we are very hopeful about the future of the country’s economy,” he said, citing his government’s success in curbing inflation in the three months since he took office.He added that one of his top priorities as Iran’s president was to decrease tensions vis-à-vis Washington and create mutual trust, step by step.“Problems of 35 years cannot be resolved in a short period of time,” Rouhani said. “If the steps taken in [the interim nuclear deal agreed in] Geneva are implemented carefully and precisely, it would mean that we have taken one step forward towards trust.”Praising the “change in atmosphere” he had perceived during his visit to New York to address the UN General Assembly, Rouhani said he had found US President Barack Obama to be “someone with very polite and smart language.”He added, however, that US-Iranian relations were still “very complicated.”Regarding the protracted civil war in Syria, Rouhani said he was concerned about the presence of terrorist groups on Syrian soil.“I basically consider the continuation of bloodshed and civil war in Syria to be against the region’s stability,” Rouhani said.He added that he was working with regional and European powers towards reaching a political solution to the conflict.“Whatever Syrian people wish for in the election, we all have to surrender to,” he said.The Associated Press contributed to this report. TEHRAN, Iran (AP) — An earthquake with a preliminary magnitude of 5.6 struck a town Thursday in southern Iran, killing seven people while causing no damage at the country’s only nuclear power plant, state television reported.The US Geological Survey said the temblor struck some 14 kilometers (8.7 miles) northeast of Borazjan. 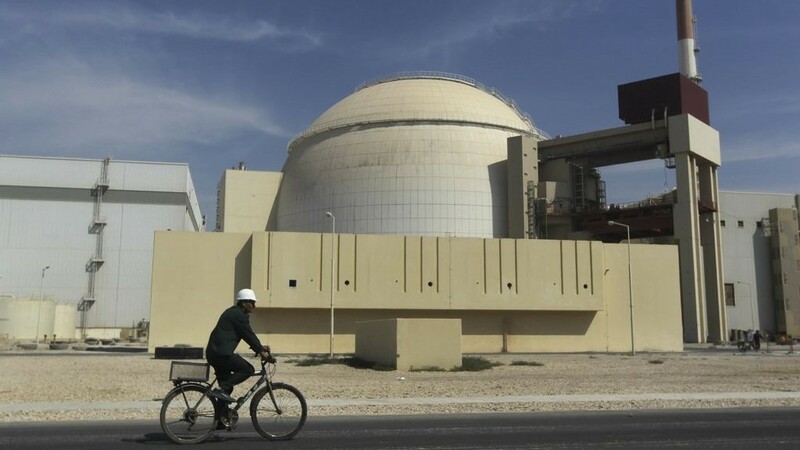 It hit some 60 kilometers (38 miles) north of the Bushehr nuclear power plant, which is near the port city of the same name.The website for state television carried a statement from the plant’s operators saying it sustained no damage in the quake.Bushehr province Gov. Fereidoun Hasanvand told state television that 45 people were injured.Many people fled their homes during the earthquake, fearful the buildings would crash down on them, local media reported. Those living in neighboring provinces also felt the quake.In April, a 6.1-magnitude earthquake killed at least 37 people and injured hundreds in a town near Bushehr. The nuclear plant wasn’t damaged then.Iran is located in a zone of tectonic compression where the Arabian plate is moving into the Eurasian plate, leaving more than 90 percent of the country crisscrossed by seismic fault lines.Nine quakes that hit Iran in the last decades were more than magnitude 6, including a 2003 temblor that killed at least 26,000 people in the city of Bam. Scientists say more fault lines likely will be discovered in the country and more major quakes are only a matter of time. Melding the Hanukkah holiday and foreign affairs, Prime Minister Benjamin Netanyahu solemnly vowed to serve as a “light unto the nations” and act against Iran’s nuclear program should diplomacy fail Thursday night.Speaking at the Western Wall for a Hanukkah candle-lighting ceremony, Netanyahu compared Iran’s nuclear program to a darkness that would be forced out by Israel, referencing a popular children’s song for the holiday.“We came to drive out the darkness, and the largest darkness that threatens the world today is a nuclear Iran,” he said. “We are bound to do all we can to prevent this darkness. If possible we will do this diplomatically, if not we will act as ‘a light unto the nations’.”Jerusalem has denounced a deal signed Sunday between Iran and six world powers that eases sanctions in return for limits on uranium enrichment and a more intrusive inspections regime.Earlier Thursday, Yaakov Amidror, the former head of the Israeli National Security Council took to the pages of The New York Times to rail against the nuclear deal between world powers and Iran, calling the accord a diplomatic failure that missed the mark in diverting Tehran’s nuclear weapons program.“The agreement represents a failure, not a triumph, of diplomacy,” Amidror wrote. Netanyahu has been castigated at home and abroad for taking a harsh stand against the US and Europe for signing the deal, with critics claiming he is deepening Israel’s isolation while strengthening the Iranian regime. Speaking on a state visit to Mexico City, President Shimon Peres struck a more conciliatory tone, saying Israel preferred diplomacy and that Iran and Israel were not enemies.He called on Tehran to stop sponsoring terror, end its nuclear program and halt development of long-range missiles.“There are countries that try to take advantage of this transition [in the Middle East] and attempt to overpower other countries and stop their march to the new age,” Peres said. “They do it by building nuclear threats, centers of terror, tongues of hatred. Iran has signed an interim agreement with the P5+1. Success or failure of the deal will be judged by results, not by words.“As far as Israel is concerned, we do not consider the Iranian people our enemies,” he stressed. “We do not share a border. We do share a common history. It demonstrates that we can be friendly. There is an opportunity to solve this issue diplomatically. It is in your hands. Reject terrorism. Stop the nuclear program. Stop the development of long-range missiles,” he continued.“Israel like the rest of the international community prefers a diplomatic solution. But the international community will not tolerate a nuclear Iran. No one threatens Iran. When Iran will cease to threaten others, it will liberate itself from the burden which it has brought upon itself. I truly hope that this deal will free the Iranian people from being a source of menace and will turn it into a contributing nation for peace. Only time will tell,” he said, sounding rather more optimistic than Netanyahu over the deal.“Israel extends its hand in peace to all its neighbors. But we have learned from bitter experience to beware of tyrants. Tyranny has no message for the future. It offers dark nights instead of enlightened days. The real promise of progress lies in the employment of science and technology by a society which seeks justice and peace,” said Peres. 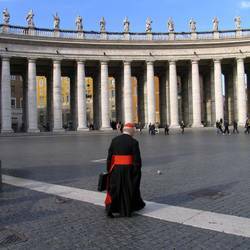 Rebecca Shimoni Stoil contributed to this report. Beijing (AFP) - China sent fighter jets and an early warning aircraft into its newly declared air defence zone, state media said Friday, as Japan and South Korea stated they had defied the zone with military overflights. The Chinese planes had conducted normal air patrols on Thursday as "a defensive measure and in line with international common practices," said Shen Jinke, spokesman for the People's Liberation Army (PLA) Air Force, according to state news agency Xinhua.Shen said China's air force would remain on high alert and take measures to protect the security of the country's airspace, Xinhua reported.Japan and South Korea said Thursday they had defied the air defence identification zone (ADIZ) declared by Beijing last weekend, showing a united front after US B-52 bombers did the same.Chinese authorities are coming under domestic pressure to toughen their response to incursions into the zone that includes disputed islands claimed by China, which knows them as the Diaoyus, but controlled by Japan, which calls them the Senkakus. The move triggered US and Japanese accusations of provocation as global concerns grew.China's ADIZ requires aircraft to provide their flight plan, declare their nationality and maintain two-way radio communication -- or face "defensive emergency measures".But Tokyo said its coastguard and air force had flown unopposed in the zone without complying with Beijing's rules. "We have been operating normal warning and patrol activities in the East China Sea including that area," said Chief Cabinet Secretary Yoshihide Suga. "We have no intention of changing this. "South Korea's military said it encountered no resistance when one of its planes entered the area -- which also overlaps Seoul's ADIZ -- unannounced on Tuesday.A day earlier two giant US Stratofortress bombers flew into the zone, an unmistakable message from Washington before a pre-planned visit to the region by Vice President Joe Biden. China's defence ministry issued a statement 11 hours after the US announcement saying its military "monitored the entire process" of the B-52 flights, without expressing regret or anger or threatening direct action.The Global Times, which is close to China's ruling Communist Party and often takes a nationalist tone, criticised the reaction as "too slow" in an editorial Thursday. "We failed in offering a timely and ideal response," it said, adding that Chinese officials needed to react to "psychological battles" by the US. Asked about the South Korean flight, China's foreign ministry spokesman Qin Gang said: "China identifies any aircraft within the ADIZ and must have noted the relevant situation you have mentioned. "He reiterated criticism of US and Japanese responses to the zone, urging both countries to "immediately correct their mistakes and stop their irresponsible accusations against China".The Communist Party seeks to drum up popular support by tapping into deep-seated resentment of Japan for its brutal invasion of China in the 1930s.Nationalist passions easily aroused.Such nationalist passions are easily aroused, and Chinese social media users called for Beijing to retaliate against Washington.Senior administration officials in Washington said Wednesday that Biden will raise Washington's concerns about the zone while in Beijing.China's relations with South Korea have recently improved but the zone covers a disputed South Korean-controlled rock that has long been a source of tensions between them.South Korea's Vice Defence Minister Baek Seung-Joo expressed "strong regret" at China's ADIZ announcement, which he said was "heightening military tension in the region. "Australia on Thursday refused to back down from criticism of the air zone after summoning China's ambassador earlier this week and prompting an angry response from Beijing.The Philippines voiced concern that China may extend control of air space over disputed areas of the South China Sea, where the two nations have a separate territorial dispute.Japanese passenger airlines said after government pressure they will not obey Beijing's rules, while the State Department has taken an ambiguous position, saying it was advising US carriers "to take all steps they consider necessary to operate safely in the... region".Thai Airways said Thursday it will comply with Beijing's directive.China for its part has accused the US and Japan -- which both have ADIZs -- of double standards, saying the real provocateur is Tokyo.Defence ministry spokesman Yang Yujun said in a statement Thursday that Japan established its ADIZ in 1969, so Tokyo had "no right to make irresponsible remarks" about China's. "If there are to be demands for a withdrawal, then we invite the Japanese side to first withdraw its air defence identification zone, and China may reconsider after 44 years," he said.The islands dispute lay dormant for decades but flared in September 2012 when Tokyo purchased three of the uninhabited outcrops from private owners.Beijing accused Tokyo of changing the status quo and has since sent surveillance ships and aircraft to the area, prompting Japan to scramble fighter jets 386 times in the 12 months to September.The manoeuvres have raised fears of an accidental clash. Jerusalem (AFP) - Most Palestinians believe the renewal of peace talks with Israel was a mistake and over two thirds think the negotiations will fail, according to a poll released Wednesday.Just over half the respondents -- 50.5 percent -- said the decision by Palestinian president Mahmud Abbas to resume US-brokered peace talks with Israel in late July was a mistake, while 33.8 percent said it was the right decision, according to the Jerusalem Media and Communications Centre (JMCC) survey.And only one in five -- or 20.8 percent -- believed the talks would yield an agreement, while 68.7 percent expected them to fail.The percentage of those who see negotiations as the best way to end the Israeli occupation and establish a state stood at 32.3 percent, down from 36.8 registered in the previous survey in March.Three in 10 respondents -- or 29.3 percent -- said they believed the best way to achieve such goals would be through "armed resistance," while 27.1 percent favoured a strategy of "non-violent resistance. "Some 49.3 percent of those questioned said that Palestinian security coordination with Israel should be stopped, while just over a third - 36.3 percent - said it should continue.Were parliamentary elections to be held now, 37.1 percent said they would vote for Abbas's Fatah party, while 18.8 percent would back the rival Hamas movement, which rules Gaza.The poll questioned 1,200 adults in the West Bank and Gaza between November 13-17 and has an error margin of 3.0 percent. Comet ISON fought the sun, and as of Thursday afternoon, it looks like the sun has won. NASA scientists said that early indications showed that the comet’s nucleus — its solid core of water, rock and gas about two kilometres across — broke apart as ISON hit the corona, the area surrounding the sun. At that point it was only about 1.6 million kilometres away from the star’s surface.Scientists took live(ish) video of the comet’s approach to the sun, hoping to use NASA’s Solar and Heliospheric Observatory (SOHO) to catch it coming out the other side. Unfortunately, so far the comet has not yet emerged.According to NASA scientists, the shape of the comet just before it passed by the sun — pointed at the end instead of rounded — implied that the nucleus had broken up. Additionally, a “smear” on many of the images implies that material has torn off from the comet and broken apart. NASAAnother image causing scientists to think that the comet has broken up. Although the breakup of the comet might assist scientists trying to figure out what ISON was made of, it’s a blow to stargazers who hoped to see the comet in the night sky as it passed back around the sun. Paul Delaney, professor of physics and astronomy at Toronto’s York University, said ISON’s size and proximity to the sun could have ushered in a spectacular light show.While several dozen comets travel near the Earth every year, Delaney said many of them don’t come within close range of the sun. Those that do, he added, are often too small to become visible to the naked eye. ISON appeared to be a different beast, he said, explaining that a comet becomes visible when the material contained in its nucleus becomes heated and begins emitting gas.“The comet becomes surrounded by this sort of gas cloud, and this gas cloud can end up being literally tens of thousands of kilometres in diameter,” Delaney said in a telephone interview.“It can trail material behind it for literally millions of kilometres, meaning that we’ve now got this object which has got a very large surface area to reflect light. And that’s what gives us a really terrific show here on Earth.”Comets that pass close to the sun — often known as sun-grazing comets — are often too small to have much impact for stargazers, he said. But ISON itself had a nucleus of approximately two kilometres wide, making it comparatively large for one with such close proximity to the sun.ISON’s relative size meant it was likely to produce a similarly large gas cloud, Delaney said.“As it rounds the sun and gets heated to nearly 2,700 degrees Celsius — it will really be roasted — all of the volatile materials trapped within have the potential of outgassing,” he said. “And if that happens the comet gets bigger, the tail gets longer, and the comet gets that much brighter.”Delaney said ISON’s light show, if it had survived, wouldn’t have started until December.There is still a faint hope that the comet’s metaphasic shields have held, and it will appear on NASA’s SDO scopes in the next few days. ITS NOT ONLY THANKSGIVING IN AMERICA.ITS ALSO THE FIRST DAY OF HANNUKAH IN ISRAEL.HAPPY HANNUKAH ISRAEL. WELL ITS 2:30PM AND THERE SAYING THE COMET ISON HAS BROKEN UP.SO THIS CULT OBSESSION WORSHIP OF ISON MIGHT HAVE FINALLY CAME TO AN END.BUT THE SCIENTISTS ARE NOT UNHAPPY THAT IT BROKE UP.NOW THEY CAN DISCOVER WHAT ISON WAS MADE OF.SO NO END OF THE WORLD NIBIRU ISON CULT WORMWOOD END OF THE WORLD THIS TIME.LIKE I KNEW ALREADY BY THE BIBLE.THE WATERS ARE NOT POISONED TIL THE TRIBULATION IS AT THE MIDPOINT.GOOD LUCK YOU CONSPIRACY THEORISTS.YOU CAN CLAIME THE END OF THE WORLD WITH THE NEXT COMET-SOLAR FLARE ETC OBSESSION. Comet ISON, which was discovered a year ago, is making its first spin around the sun and will come the closest to the super-hot solar surface at 1:37 p.m. EST. It may take a few hours before astronomers know if the comet survived its brush with the sun. If it survives, and maybe even if it doesn't, people in the Northern Hemisphere will have a good chance of seeing the comet — or its remains — in the first two weeks of December just before sunrise and after sunset. It won't be visible with the naked eye on Thursday, but NASA has a fleet of telescopes trained on ISON (EYE'-sahn). For the six people on board the International Space Station — including American astronauts Mike Hopkins and Rick Mastracchio — it's time for a traditional Thanksgiving feast. But don't expect them to be carving a succulent bird. In a video from space, the two astronauts showed off their menu, all in small sealed packets: irradiated smoked turkey, thermostabilized yams, cornbread dressing, potatoes, freeze-dried asparagus, baked beans, bread, cobbler and what Hopkins called his favorite dehydrated green bean casserole. It comes with a view from space that is juicier than any turkey on Earth. 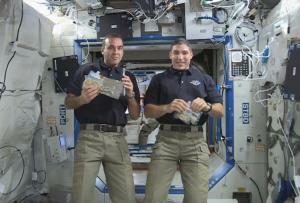 "Though we miss our families, it's great to be in space," Hopkins said from 260 miles above Earth in a taped message. HAPPY THANKSGIVING AMERICA.AND MAY YOU PLEASE TURN BACK TO KING JESUS YOUR JEWISH GOD AND MESSIAH. AND I PRAY YOU WILL STICK UP FOR ISRAEL-AND STOP DISSING HER AMERICAN GOVERNMENT (BARRY SOETORO AKA BARACK HUSEIN OBAMA).AND HAPPY CHANUKKAH ISRAEL.I HOPE USE GET TO INJOY THE NEXT WEEK IN PEACE AT LEAST. BRUSSELS - Poor Israeli PR has seen the EU enforce new rules on science funding, but EU states compensated Israel with a UN gift.Under the funding deal, the EU and Israel will shortly sign a memorandum of understanding (MoU) on Israel's participation in the Union's "Horizon 2020" research programme. The grants will be governed by new EU guidelines, which say Israeli firms and institutions cannot spend a cent of EU money on activity in occupied Palestinian land.Contacts familiar with the MoU text told EUobserver it will include an appendix saying Israel does not recognise the guidelines.But they described the appendix as "futile … a fig leaf. "They said the Horizon 2020 "work programme" and "calls for proposals" - which detail implementation - will oblige Israeli entities to comply with the guidelines if they want EU cash. The legal notice means Israel will not be able to challenge Horizon 2020 eligibility criteria in the EU court in Luxembourg and Israeli entities will not be able to challenge them in Israeli courts.The EU went some way to help Israel save face.It agreed to the Israeli appendix.It is keeping quiet on the work programme and legal notification issue.EU officials also agreed to let Israel break news of the accord in Israeli media so they could spin it as a "compromise" in which Israel won "concessions. "Israel spends a tiny fraction of EU science funds in occupied zones.But after years of verbal criticism, the Horizon 2020 deal represents the Union's first legal blow against settlement expansion.It also creates a precedent for EU grants in other sectors for the next seven years. "This agreement will pave the way for Israel's participation in other EU programmes to be launched from 1 January 2014," the two sides said in a joint statement on Tuesday (26 November). EU diplomats told this website that Israeli PR made the EU less flexible than it might have been.The EU commission, at one point in the talks, wobbled on the legal notification issue.But a series of leaks by Israeli officials to Israeli media saying EU negotiators had agreed to water down its new regime prompted Arab diplomats, pro-Palestinian NGOs, MEPs and European politicians to deluge EU institutions with complaints. "The lesson is that even if you are speaking to your domestic audience, your enemy is also reading the press," an EU source told this website. "We had an unprecedented number of high-level letters, meetings, which made it very tough for the EU to back down," he added.Other Israeli efforts were equally counterproductive. On Monday, the eve of the Horizon 2020 deal, Israel sent major general Eitan Dangot to talk to EU diplomats in an EU Council working group on the Middle East.Dangot, the head of Cogat, a branch of the Israeli defence ministry responsible for the occupied territories, showed EU diplomats a slide presentation of Palestinian children with AK47s designed to demonstrate that Palestine does not want a peace deal. He said Palestinians should be "grateful" for the occupation because Israel builds them schools and other facilities.Dutch and Swedish delegates complained, saying Israel has destroyed dozens of EU-funded projects in Palestine. "The more I listen to this kind of thing, the less sympathy I have for the Israeli point of view," another EU diplomat who met Dangot told this website.The EU's hard line on settlements does not mean it is not giving Israel what it wants in other areas, however. Also on Tuesday, EU states, the US and Turkey in the "Western European and Others Group [Weog]" at the UN office in Geneva agreed to let Israel become a fully-fledged member.Weog co-ordinates voting positions and holds internal debates, in a similar way to political groups in the European Parliament.The move comes despite the fact that in 2009 EU states froze plans for a "diplomatic upgrade" in EU-Israel relations, part of which included Weog membership in Geneva.EU foreign relations chief Catherine Ashton told MEPs in September the freeze is still in force.But a diplomat from one EU country told EUobserver that many EU capitals have "forgotten" their 2009 decision. "Four years is an eternity in diplomatic life," he said.He noted that Germany pushed for the Weog move in order to compensate Israel for the settlement funding rules. "It's a clear breach of the upgrade freeze. But there is a broader mindset in which the EU is afraid of its own shadow on Israel, and it has certainly cast a shadow with the new guidelines," he added.An Israeli diplomat told EUobserver: "We don't see any connection between Weog and the guidelines. "The German foreign ministry declined to comment. BERLIN - Direct bank recapitalisation from the eurozone bailout fund (ESM) will be possible "only as last resort" if a country has tried saving its own banks, but the gap is so high it would no longer be able to borrow from the markets, German Chancellor Angela Merkel said Wednesday. Syrian President Bashar Assad on Wednesday called his Iranian counterpart and congratulated Tehran for its “resilience” in reaching an agreement last weekend with world powers over its unsanctioned nuclear program.According to Syrian state media, Assad spoke with President Hassan Rouhani over the phone and lauded “the success of the Iranian diplomacy in reaching the agreement,” which was “the result of the resilience of the Iranian people, who held onto their rights, and of the Iranian leadership’s commitment to the principles of Iran’s sovereignty.”The report said that Rouhani affirmed Tehran’s support for the Assad regime “in its war against terrorism.”Iranian state-run Press TV confirmed Rouhani’s talk with Assad, quoting him saying that there was “no military solution to the crisis in Syria.”A weekend agreement between the the P5+1 states and Iran temporarily put the brakes on parts of Iran’s disputed nuclear program and allowed for more intrusive international monitoring of its facilities.In return, Iran gained partial relief from stiff economic sanctions and a pledge that no new penalties would be imposed during the six months the parties have to iron out a more comprehensive agreement.According to EU foreign policy chief Catherine Ashton’s spokesperson, however, the deal has yet to take effect. Syrian rebels claimed Thursday that they killed 250 Hezbollah fighters and captured dozens in fierce battles in the suburbs of Damascus, while a missile attack reportedly killed 40 people in the city of Raqqa. Hebrew media sources, citing the Lebanese al-Mustaqbal newspaper, reported the claim by the Free Syrian Army on Thursday, although the information could not be confirmed by other sources.According to Israel Radio, Hezbollah acknowledged the deaths of three of its fighters, including the nephew of a Lebanese minister, in battles near Damascus, but not the 250 claimed by the rebels.The Local Coordination Committees in Syria reported only 17 deaths in Syria on Thursday.Opposition sources in Syria also made as-yet unsubstantiated claims Thursday that Syrian President Bashar Assad’s forces used chemical weapons in the Damascus suburb of Jobar. No deaths were reported.In eastern Syria, Saudi news outlet Al-Arabiya reported that Syrian government forces launched a Scud missile at Raqqa that slammed into a market, killing 40 people and injuring over 200. Dozens more people were believed to be trapped under the rubble after the impact.The latest round of bloodshed in the three-year old civil war comes as the government and the rebels fighting to bring it down tentatively agreed to hold talks in Geneva at the beginning of 2014.However, both sides have already made statements suggesting they have very different expectations from the negotiations. The rebels see the talks as aimed at bringing about the removal of Assad from power, while the government has made it clear it has no intention of stepping down. The opposition has also demanded the establishment of humanitarian corridors to areas that the regime has under siege as a precondition to attending the talks. Berlin and Brussels - German Chancellor Angela Merkel has criticised Russia's "Cold War" mentality and said Ukraine can still sign an EU pact, as EU leaders flock east for the Vilnius summit.She is one of 20 or so EU heads of state or government, along with her British and French counterparts, going to the Lithuanian capital on Thursday (28 November) and Friday for the so-called Eastern Partnership event.But Germany's privileged economic relations with Russia, and Merkel's standing as the most powerful leader in the EU, make her words carry special weight.Most of the six Eastern Partnership states - Armenia, Azerbaijan, Belarus, Georgia, Moldova and Ukraine - are also attending at the top level.But Ukrainian President Viktor Yanukovych, in a shock u-turn last week, said he will not sign an EU association and free trade treaty, citing Russian threats to cut off trade.His signature was to have been the main outcome of the summit.In a sign of how much EU countries had wanted it to happen, EU sources told EUobserver they were willing to do it even if he kept former PM Yulia Tymoshenko in jail. "It means the Eastern Partnership is dead," one EU diplomat told this website. "It's an insult to the EU and I don't see any point in Yanukovych going to Vilnius any more," he added.For her part, Merkel played down Ukraine's decision at a pre-Vilnius press briefing in Berlin on Wednesday, however.She accepted Yanukovych's statements - that his decision is "not a rejection of Europe, rather a postponement of the signature" - at face value.She added: "We will continue to offer this agreement. "But she reserved harsh words for Russia.With Armenia also backing out of an EU pact due to Russian threats, Merkel said: "The more they [post-Soviet countries] come closer to Europe, the more Russia sees it as distancing themselves from Russia. ""The EU and Germany have to talk to Russia. The Cold War is over," she noted.She added: "These countries must and should decide for themselves [on EU integration] ... We need Russia. We import their gas. We have a common interest to see the Russian state modernise. But we must overcome the last relics of the Cold War. "A senior German official told journalists that if Ukraine changes its mind, it could qualify for €500 million of EU aid.Poland's foreign minister, Radek Sikorski, echoed Merkel.He said in Polish daily Rzeczpospolita on Thursday that Yanukovych can sign after Vilnius.He noted the EU will not enter a "bidding war" with Russia on Ukraine, adding: "We [EU states] are more attractive in civilisational and economic terms. "He also claimed the Eastern Partnership policy, his brainchild, is a success because it has "focused the attention" of EU leaders on the east.He pointed out that a parallel project, the EU's Union for the Mediterranean, is, by comparison, genuinely defunct.Meanwhile, the European Commission on Wednesday gave Moldova's pro-EU government a gift by proposing to extend visa-free travel to Moldovan citizens with biometric passports.Home affairs commissioner Cecilia Malmstrom described it as "an encouragement for other eastern partners. "Moldova and Georgia are to initial association and free trade pacts with the EU in Vilnius.The initialing - which marks the conclusion of negotiations - will be the only tangible result of the two-day meeting.Some EU diplomats fear that following its demolition of the Ukraine treaty, Russia's next move will be to stop Georgia and Moldova from ever signing or implementing the pacts.But Georgia's foreign minister, Maja Panjikidze, said in an op-ed for EUobserver on Thursday that "as Russian troops and barbed wire continue to encroach on our sovereignty, Georgia’s commitment to European and Euro-Atlantic integration stands stronger than ever. "The EU had hoped to also sign a "Strategic Modernisation Partnership" with petro-dictatorship Azerbaijan. But the two sides could not agree language on human rights in time for Vilnius.Belarus is to send its foreign minister, Vladimir Makei, after the EU took him off its visa-ban list so he could come.One EU official said Makei's attendance could mean that Belarus wants to mend fences and might shortly free a few political prisoners.But Belarus has punctured EU hopes time and again in the past 20 years of President Alexander Lukashenko's iron-fisted rule. TOKYO/SEOUL (Reuters) - Japanese and South Korean military aircraft flew through disputed air space over the East China Sea without informing China, officials said on Thursday, challenging a new Chinese air defense zone that has increased regional tensions and sparked concerns of an unintended clash.The move came after Tokyo's close ally Washington defied China's demand that airplanes flying through its unilaterally announced zone identify themselves to Chinese authorities, flying two unarmed B-52 bombers over the islands on Tuesday without informing Beijing.Tensions have ratcheted up since Beijing's weekend announcement of the zone that includes the skies over islands at the heart of a feud between Japan and China, and its demand that planes flying in the area first notify Chinese authorities.Japan and the United States have sharply criticized the move, which some experts said was aimed not only at chipping away at Tokyo's control of the islands, known as the Senkaku in Japan and the Diaoyu in China, but also at challenging U.S. dominance in the region.The United States does not take a position on the sovereignty of the islands but recognizes Tokyo's administrative control and has assured Japan that the U.S.-Japan security pact covers them.The developments are expected to dominate U.S. Vice President Joe Biden's visit to Japan, China and South Korea next week.Also on Thursday, China rejected South Korea's demand for the repeal of the zone, but appeared to soften its demand that commercial aircraft tell its military authorities of any plans to transit the area. Japan's two biggest airlines have already begun defying that order. 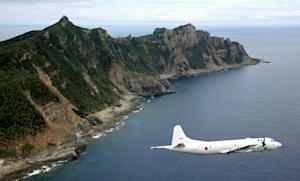 "The East China Sea Air Defense Identification zone is not aimed at normal international flights. We hope that relevant countries' airlines can proactively cooperate, so there is more order and safety for flights," China's Foreign Ministry spokesman Qin Gang told reporters.Japan's Chief Cabinet Secretary Yoshihide Suga said naval ships and patrol planes have been operating in the East China Sea and would continue to do so. "They are carrying out surveillance activity as before in the East China Sea, including the zone," Suga told a news conference, adding there has been no particular response from China. "We are not going to change this (activity) out of consideration to China," he added. A South Korean official also said a navy reconnaissance plane had flown over a submerged rock in the area claimed by both Beijing and Seoul, and that the flights would continue.The rock, called Ieodo in Korea and Suyan Rock in China, is controlled by South Korea, which maintains a maritime research station built on it. Asked about the South Korean flight, Chinese spokesman Qin only said that Beijing was aware of it.